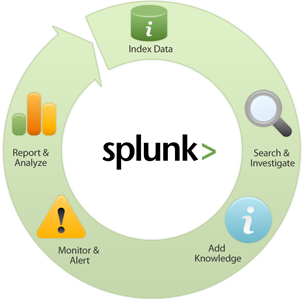 Splunk a known name in Big Data Industry specially for machine data. Splunk is the industry-leading platform for operational intelligence. It basically collects and indexes any machine data from virtually any source in real time. Search, monitor, analyze and visualize your data to gain new insights and intelligence. Index everything for deep visibility, forensics and troubleshooting. Splunk also provides features to create ad hoc reports to identify trends or prove compliance controls. Create interactive dashboards to monitor for security incidents, service levels and other key performance metrics. Analyze user transactions, customer behavior, machine behavior, security threats and fraudulent activity, all in real time. 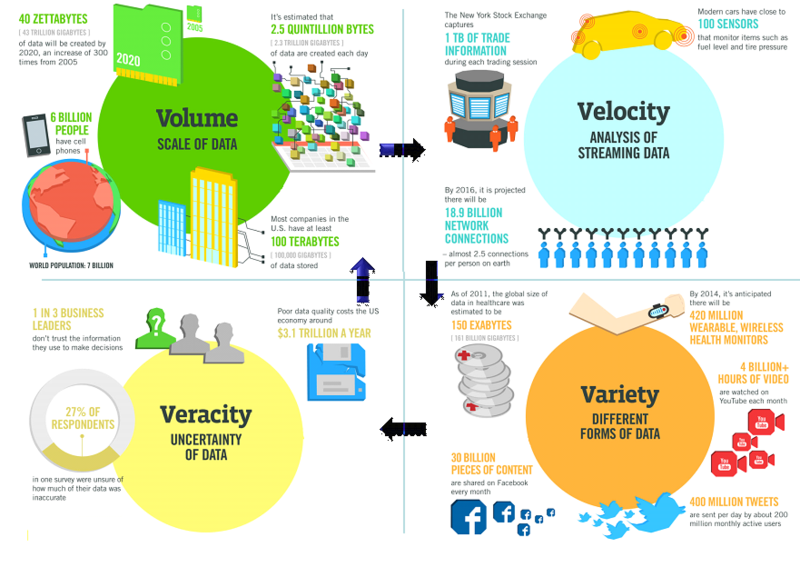 Splunk deals with all the 4Vs of Big Data in an efficient and fruitful manner thus making sense out of data, insights and intelligence. => Collects, indexes and harnesses the machine-generated big data. => Data sources coming from the websites, applications, servers, networks and mobile devices that power business. => They gain Operational Intelligence that deepens business and customer understanding, improves service and up-time, reduces cost and mitigates cyber-security risk. Splunk can be used in any to builds many applications based on logs generated from machines. Machine data can be data from Firewalls, routers, switches, Cell Phone, Base stations (BSC), MSC, Sensors, etc. There are many applications available on Splunk App Base for download for free which can be used for respective data analysis. Splunk also give 90 days trail which has some limitations but can be evaluated and then depending upon the requirement an efficient plan can be purchased from Splunk. Splunk also provides facility of SDK and Splunk SDK is available for download for all most all the famous languages like Java, Python, C#, etc.. If you have large amount of machine data and you want to make some real time or near real time insight from it, do evaluate splunk. May be you could answer some questions from the insight of logs which you haven't even thought of!!!! 4 comments to '' What is Splunk? | First Timers Guide on Splunk - A Big Data Platform for Machine Data "
Nowadays LegalRaasta's whole focus is on GST, they even developed a GST Software gor easy GST compliances. As we know, GST is rolling all across India. A company named, LegalRaasta developed a GST Software for easy GST complances for its users. Have a look at it once and contact our experts to get your queries answered.